THAN NEVER!!! I know, I’m a bad blogger! I have not posted in a couple of weeks!!! I have been spending some quality time with my mom as she is now staying with me for a couple of months. My sister and her decided to move up to my neck of the woods in hope of a better job situation for my sister. I am loving every minute. I am feeling super blessed to have them so near again! This month I am concentrating on one small area for my monthly re-design project. Craft closet! I am not even going to show a before picture, it’s horrid..seriously..ok, but it’s a mess!! There are dozens of leftover projects, supplies for hobbies no longer being used, and scrapbooking paraphernalia galore! It just needs a good old fashioned cleaning, sorting, donation and trashing! 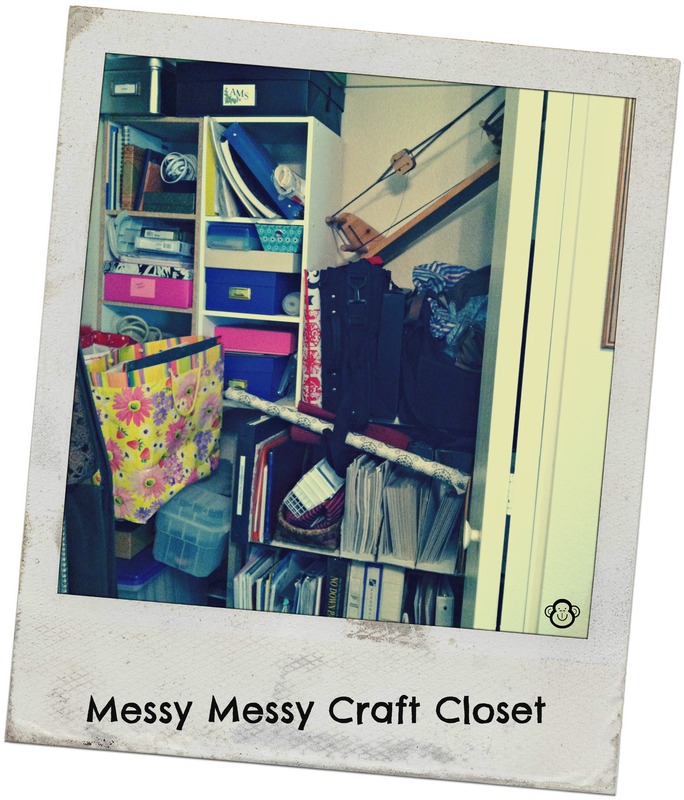 Check here to see some great craft room, supplies…you name it, I probably pinned it!